If your area of interest is listed, call that office directly for information. Most programs offer a Monday - Friday noontime meal; costs vary. Dietary restrictions are not available at all locations. If your area is not listed above, or if you have any other questions, contact Clay County Senior Services at 816-455-4800. 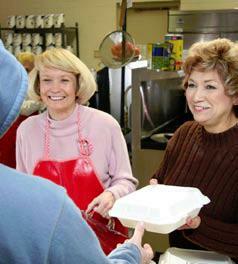 If you would like to make a difference for older adults in your area, please consider volunteering for one of the meals programs listed above. See our Volunteer page for more information. © 2019 Clay County Senior Services All Rights Reserved.